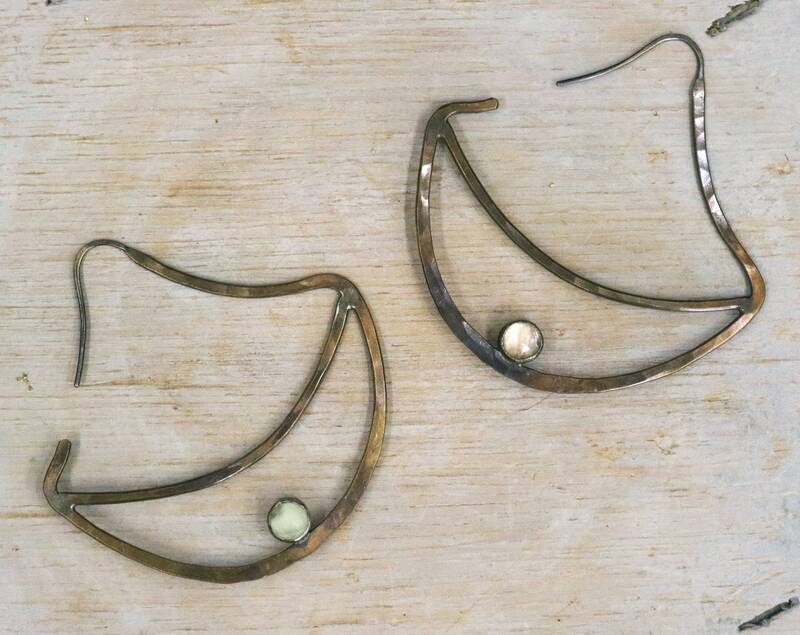 These forged brass statement earrings are each set with both 6mm rainbow moonstone and green chalcedony, so you can choose which color you want to wear! 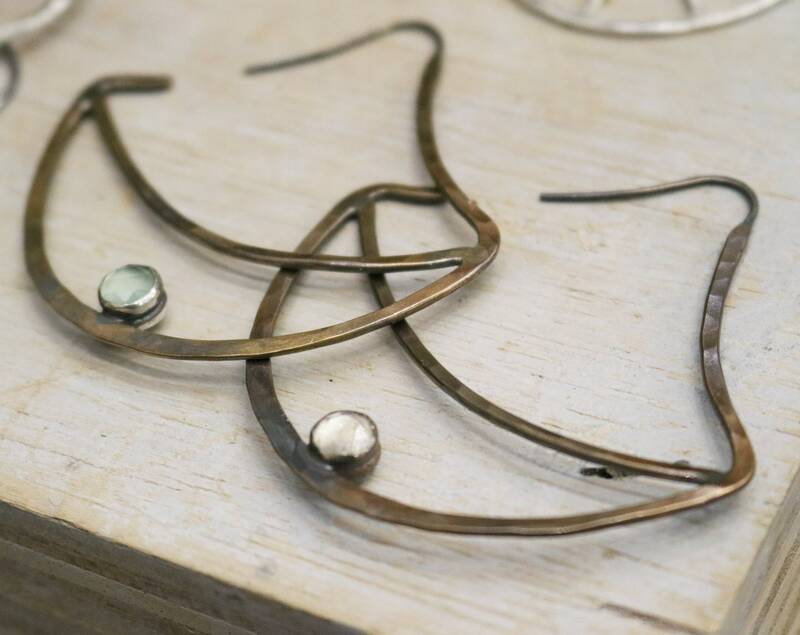 Super lightweight and sturdy, these make for really great everyday earrings. The ear wires are sterling silver.